Interested in going to law school? Wondering what it's like? Want to learn more? 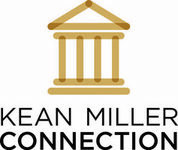 The Kean Miller Connection is a full day law school preparatory program for college students. Attorneys from Kean Miller - Baton Rouge's largest law firm - along with others, provide an intense overview of the law school experience. The goal is to "connect" students with information helpful to their decision to attend law school and become an attorney. Learn more here.